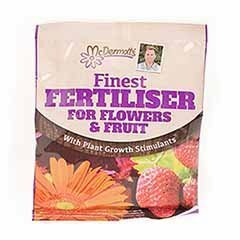 High Potency, balanced soluble fertiliser for more flowers and fruits. 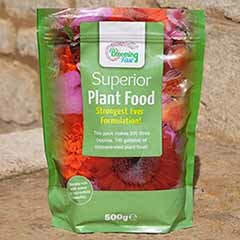 The only fertiliser you need for your garden for more flowers, more fruit, better roots and better shoots! 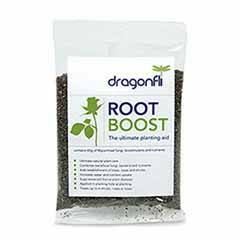 Transform the performance of your plants with regular feeding throughout the main growing season. 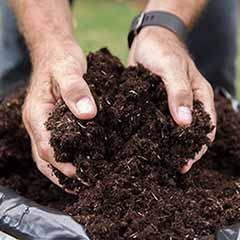 It's simple to use, just add one 5g scoop, included in the pack, to a gallon of water (4.5 litres) or a standard watering can full, and simply water on weekly during the growing season. 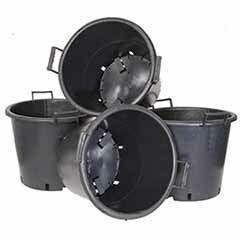 This tub makes up to 10 watering can fulls of feed - that's a lot of feed for your garden. 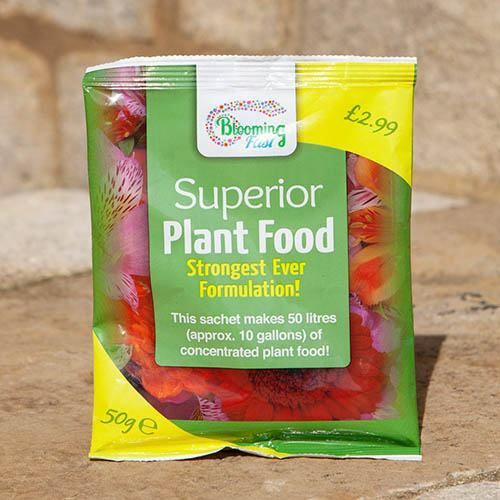 You will see quick and long-lasting results, and it can be used on all plants - except the lawn! For a full Technical Contents Analysis, see What Is Supplied. Soluble fertiliser, easy to dissolve in water. 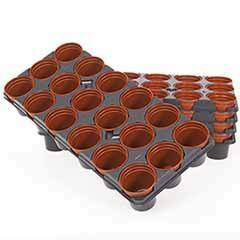 Store in a cool and dry place - supplied in a resealable tub with screwtop lid. Very quickly delivered plants in excellent condition. 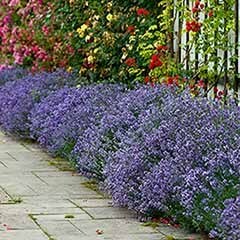 Have used Garden Bargains several times & have had no complaints at all especially with the standard of service, prices & condition of the plants. Would definitely recommend this company & will be using them again in the future. Would buy this in the future. Nice idea to give a free 'taster' pack. The packaging on this delivery was not as good as usual. great quality plants, quick delivery. Not received initially, but it arrived today. Nice baskets .arrived in good packaging . Always happy with the service from garden bargains. Everything is packed well and always been in a good condition. We planted the heathers 3 weeks ago and new growth is already showing. No response to email sent to customer service regarding complaint which also had photos attached. I can see that one of my colleagues has arrange replacements for you now - please accept my apologies for the delay in replying on this occasion. pleasant and polite telephone staff. I had a problemwith y payment card but this was quickly and efficiently sorted out. I'm sorry to hear that your echiums are struggling - please forward photos to CS@yougarden.com so we can address this for you. Seems to do as it says on the packet. Great condition, fair price and recieved in good time. Good service and products, P&P a bit high imo. Always quick delivery with very healthy, well-packed plants. I would order from you again. The rating is for your kindness in sending me a free gift. It's too soon to rate the effects of the product. I like this company and bargains but there are problems from time to time. And price for delivery is too high - you pay the same for big tree and small plant. Please accept my apologies for the error dispatching your parcel - I can see that a replacement parcel has been arranged and is currently being picked at our nursery. I have no problems with the service. I haven?t experienced any difference to my baskets since using the fertiliser. I'm sorry to hear of your disappointment - please can you send us some photos so we can investigate this for you. We received the plants in good condition the only thing that we have noticed is that one planter is far advanced compared to the other. Flowers only now on second looking forward to seeing them bloom together. Dispatch time could be a little bit quicker. My plants arrived well packaged and in very good condition. Ordering was easy and I wasn?t waiting too long for delivery. Would definitely recommend ?? Plants arrived very well packaged and with no damage even though these where large tall plants. Excellent would definitely use again. I'm pleased to hear that replacements were arranged for you quickly. The plants I have ordered over the last 6 months have been excellent. The only problem is having to wait the full 10working days for dispatch. Only used a couple of times so far but seems to be good. You never can visualise exactly what you are getting. Have had three orders this year and all of the plants received have bolted - tall thin and not able to stand on their own - try would not be able to sell them in a garden centre where people could actually see what they are buying. I'm sorry to hear this - please forward some photos to CS@yougarden.com and we'll be happy to address this for you. Service is good, but you should supply the plants you show on air? 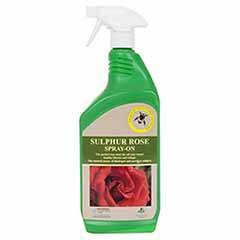 Have had a lot of problems recently regarding life time guarantee products. Also found out Garden Bargains/You Bargains are the same company of which myself and other customers were not aware. Up until this occurred their rating was good but one of the emails was not very helpful at all and in fact made me fell like an idiot and also despite the right order from ideal world the wrong item was sent. Garden Bargains is the in-house gardening brand for one of YouGarden?s clients. We now manage this brand on behalf of the client, managing the website, all fulfilment and customer service, having taken over management of this account from a competitor of ours. I'm sorry to hear that you were disappointed with your recent email exchange - on checking the emails I am unsure what has offended you, or what wrong item has been sent , but if you'd like to forward details of both to us we'll be happy to address any issues. One of the plants was damaged, it was replaced without quibble. Good, but a work in progress. THE SERVICE WAS GOOD ALTHOUGH THE DELIVERY COULD HAVE BEEN BETTER. i WAS IN THE GARDEN & THEY PUT IT OVER THE GATE. Please accept my apologies for the delay encountered on this occasion - please keep us updated about the progress of your plants. Having previously received plants that were damaged. Not expecting any replacement as they were surviving. After letting the provider know the plants were replaced intact and are looking good. 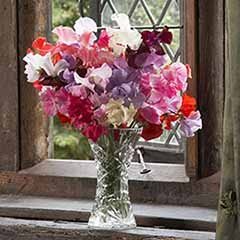 I had a nice email from customer service when they could not deliver but the poor quality of the basket which had been squashed into a too small box thus breaking many of the flowers leaves me feeling very disgruntled. Good service with email advice on delivery. Its ok but the problem is I only had the photo of the plants to go by and because of the condition don't think I'll buy plants on- line again sight unseen. I ordered via the web which I found easy to navigate and the item was delivered within the time specified. It will be my go to site in the future when I need things for the garden. two strawberry plants supposed to be in flower ready for july picking. No flowers. Eight decomposing strawberries in soil. a dozen little green strawberries hanging on. leaves looked nearly dead. I'm sorry to hear this - please forward us some photos and we'll be happy to look into this for you. I am not sure yet. I will know better next year if they take hold. Items arrived late and company couldn't give coherent and consistent answers as to why and what they were doing about it. In the end they said product was going to be another 3 weeks (they had already been three weeks in coming and exceeded their deliver by date). Finally the items arrived the day after my last call - not 3 weeks! I'm sorry to hear you received some confusing information regarding this order, this is not our usual service - I'm pleased to hear everything has arrived now. The products arrived in good condition and packed to protect them on the last due day. However, thre were no instructions for their planting or onward care. I have stuck them into pots in the hope that I am doing the right thing. 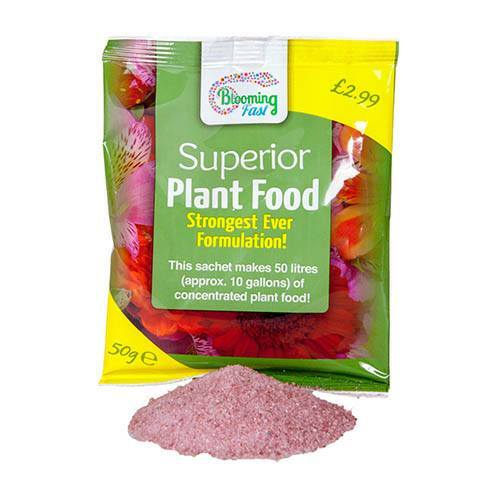 This product is ap,ant food not a fertiliser! Goods delivered on time and well packed. I think it has helped the above plant. Time will tell. Plant looks good. Nice and healthy. At this point results seem to improve over time. most of the items I have ordered have arrived in good order, those that haven't were replaced with no quibble. I have not received any. Always a great experience - thank you ! Good customer service. Prompt delivery and well packaged so no casualties. Looks like a powerful blend of essentials. Clear information and well timed delivery. The delivery company Yodel couldn't find my house on 4 occasions, they sent the parcel back and Garden Bargains redeemed the situation by sending another Acer out, which has now arrived but without pot or fertiliser. I have no problem with Garden Bargains they are really good but please change your delivery people they are useless! Please accept my apologies on behalf of our courier. This particular set of acers should have been delivered in a plastic nursery pot - no decorative pot should have been included. 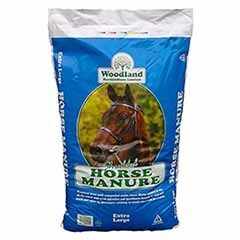 I have however arranged for the missing fertiliser to be sent out to you ASAP. The plants were ok but how they survived the transportation I do not know. Each delivery was very badly packed. The last one was completely open at the top and the plant was growing out, needless to say I had to prune off the top 6inches to remove the dying bits. This order was delayed beyond the stated delivery schedule, but sorted with communication with GB. Items as described. Took about five days to arrive after despatch was notified. Being a first time buyer I found ordering by phone very easy. can`t say as yet as I have just used it. Was told order dispatched but then when I contacted them was told order had been sent to warehouse to be completed. An email was to be sent to confirm delivery. Still waiting though plants have arrived. I can confirm that your dispatch confirmation email was sent on 23/05 - I'm sorry to hear you haven't received this. Hopefully your plants are thriving now, but if you have any concerns please don't hesitate to contact us. great service, great packaging, kept me informed how and when it will be delivered. not sure yet, it has not perked up the bottle brush plant as of yet. I'm not at all happy with the plant you sent me it was supposed in a 9cm pot it came in a 6 cm one it looks like the roots had been pot bound for a couple of months what few flowers that where on the plant where dying off also parts of the plant had died too. You should be ashamed to send out a plant in this state. I'm very sorry to hear of this - please can you forward photos of the plant to CS@yougarden.com so we can look into this for you. 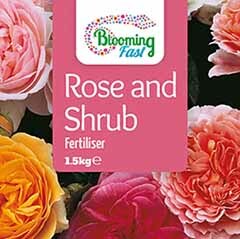 Easy to use and plants arrived in excellent condition. took a little bit longer to arrive than expected. The plants arrived in good condition. Plants arrived on time and really well packed. Very pleased packed well and good stock would shop with you again. Slow delivery with plants arriving in a box in poor condition and upside down. After complaining full refund was given after waiting another week. The plants were delivered in the time specified. Reasonable plants which ok although the last lot that came were so soggy that the cardboard packaging that they were in had fallen apart at the bottom and had the delivery driver not taken care with them, thank you delivery driver, they would have fallen out or been damaged. Nice addition to my plants. I have used this company in the past, but both orders this year had problems over packaging, the replacement package came undone and it was split. 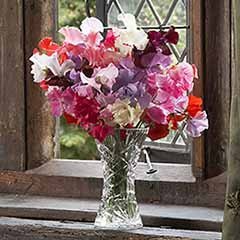 I have bought from Garden Bargains in the past and ave always received excellent service. Very good, I applied the fertiliser to all my plants over a week ago and already you can see the difference in growth. I can see that your plants were dispatched on the 10th working day of the 7-10 advised on your confirmation email - I appreciate this is cutting it a little fine, but is still within the advised range. If you're worried about your plants please forward us some photos when you have a moment spare. Over some time deliveries from Garden Bargains expected came efficiently via. Yodel .Of recent deliveries they take longer to arrive, one went to another address two miles away and I received a delivery for someone some distance from me and being disabled I was unable to contact them. It appears the Yodel team for this area no longer exists and deliveries are all over the place. The timescale for delivery was dreadfully slow. My first order arrived in great condition, but subsequent orders have had various problems from missing items to being badly packaged. I'm glad to hear that your query is being dealt with by our team. good choice of plants and price fair. Apart from the issue with the patriotic mix I am happy with the other items. Does take a while to dispatch but that?s fine. Customer services were helpful when I called to find out how long it would be. The plants l purchased are not like the bulbs seen on screen. I was very disappointed with the items. 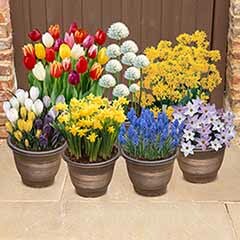 How can I grow the bulbs a get the same display of flowered planters as the presenters. They were getting excited about this product so was l. I bought 2 of them! Sorry ,Not happy. It's an expensive purchase. Thank you for this product so easy to use. I look forward to seeing the results from this product . The items were well packaged and arrived in the time scale I was given. I previously ordered from GardenBargains and have been pleased. However on this occasion I have been disappointed. Delivery took more than two weeks and at least 7 of the plants were dead. 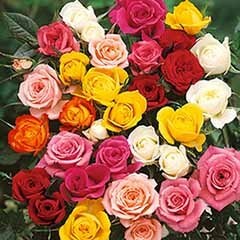 Ordered bare root roses (7) and one bare root peach tree at the beginning of May. I thought that they would despatch straight away as it was getting late for bare root. Packed on the 16th then yodel had them for 8 days and delivered after 7pm so 9 days until I could get them in the ground . Peach tree box was too small so that had broken as it was packed! Please accept my apologies for the delay and damaged items - I can confirm that your replacements were dispatched yesterday. The various and changing delivery dates are not acceptable. The delivery firm, Yodel, do not care at all. They will quote dates from 3 days to 7 days and then will deliver when they want to with no prior warning at all! Do you really want to order plants with no certainty when you will get them? I'm sure Garden Bargains are fully aware of this problem, so why are they not resolving the problem? I'm sorry to hear you've been inconvenienced on this occasion - thank you for providing some feedback about this experience so we can try to improve in future. I can see that one of my colleagues asked you to email us some photographs so we could assess any problems with your fruit collection; however we have yet to receive these. I can confirm that your details have been removed from all our mailing lists, as requested. 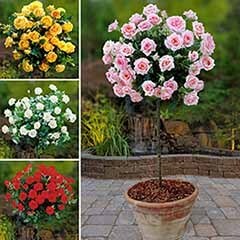 I have purchased from GardenBargains for a few years and been generally satisfied although delivery times this year seem all over the place and some of the plants have not been good quality. Nice to have - will see how it works on the plants! absolutely perfect,coudnt wish for better. Good quality goods, well packed , polite ,helpful customer service . I'm sorry to hear you feel you were fobbed off. I have unfortunately been unable to locate your emails, so please can you forward details to CS@yougarden.com and I'll be happy to look into this for you. customer service is excellent, pakers need improvement in keeping orders together. Have not received any . So far they have always sent excellent quality plants at a very good price. The plant was well packed, unfortunately one branch was broken, looking at it, it could have happened as it was being packed as it was partly hanging off near the bottom, it was withering and dry. The rest of the plant seems to be doing well. Excellent service. All plants arrived looking good and healthy, ready for potting on. plants ordered with a small problem as I tried to use 10% discount but unable to. But as I wanted the plants I just ordered. I have only ordered twice so far, service has been good. 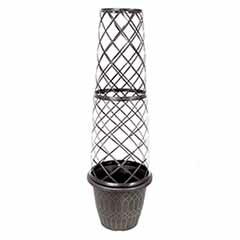 Products seem very healthy and was informed when products where being delivered, they use a reliable delivery service, so l was pleased and will obviously use GardenBargains for future products. Have not used, but was a free gift, seems like a good product and l will definitely use. Used a few times, does what it says on the tin! was a bit unsure of ordering from Garden Bargains again. A few years ago I ordered roses and bulbs, the roses were supposed to be all different colours but I got mostly yellow, a colour I don't like in anything and only a small handful of bulbs appeared. Having said that, I was very impressed this time and glad I gave them another chance, the plant was well packed and considering it had been in the post for 5 days over the bank holiday was as they said it would be, in excellent condition, will be buying from them again in the very near future. I haven't tried it yet but if it is as good as they say it is I will buy again. Plants great, service good price going value. Haven't used yet but will be over weekend. Great customer service answered my queries straight away ,couldn't be more helpful.Also great value products ,packaged well and quick delivery. Always had good plants that have thrived. Yet to try it.. but it's free so can't complain. Great service. Arrived in time . Well packaged and in good condition. Cannot comment on this as the acer was given to someone else. Very speedy, hassle free service. Everything well packaged and arrived safely. Have just used this product but not had the results yet to be able to leave feedback. Package arrived in the time stated and in good condition. I have been using this product for over a year or more,and have been very pleased with the results. Item took a little longer to arrive than expected, but arrived well packaged, thank you! .arrived on time & well packaged. Good service, arrived as stated. I had to contact them after 10 days nothing had arrived I was told it?s dispatched, waited again for 7 days phoned re order to be sent out Items still not arrived no compensation No fertiliser offered. Later st time I shall use this company. Unfortunately it appears that your order was lost in transit and rebooked - please accept my apologies for this. 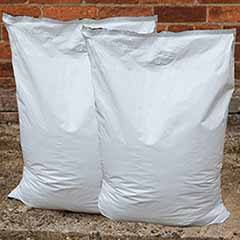 The fertiliser is showing as included on the rebooked order at our end, so if you haven't received it please let us know at CS@yougarden.com. Items as described and beautifully fresh. My order came quickly and well packed in one box. Although deliveries (2) were later than promised, customer service was excellent in resolving the issues. Very good customer service team. Latest order arrived damaged due to poor packaging, replacement order for the damaged plants was handled very efficiently. Excellent service, would recommend to anyone,customer service top notch,will be using them again for all my garden needs in the future. Will put this to good use. Items excellently packed so delivered in good order. Plants appear to be growing well. Thankyou. seem to take a very long time to arrive from initial ordering. I'm very sorry to hear this - please forward photos to CS@yougarden.com and we'll look into this for you. Items in excellent condition and they are already sprouting.Bargain price. This was a free bonus with my order and pleased with it. Top quality and great service and price thank you. Not tried yet but if it's as good as the rest of your stuff iam shore it will be fantastic. 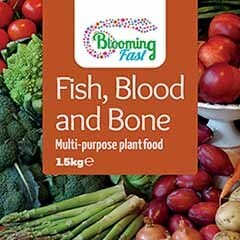 Lovely, healthy plants, great price and quick (securely boxed, delivery. Always deliver quickly and good products.